Johann van Graan has left the door open for a surprise Munster return for Ronan O'Gara and Paul O'Connell. 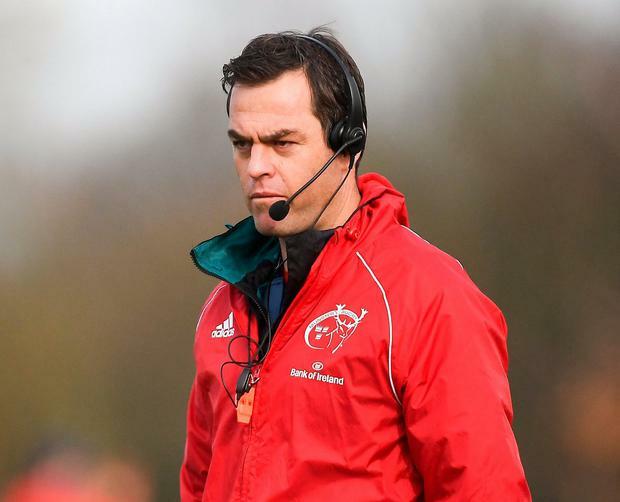 The South African, who last week penned a contract extension that will keep him at Thomond Park to 2022, is considering a coaching revamp. Current assistants Jerry Flannery and Felix Jones are out of contract at the end of the season and new deals for the pair have not been announced. O'Gara is currently assistant coach at the Super Rugby champion Crusaders in New Zealand, while O'Connell is forwards coach at Parisian club Stade Francais. He will leave that post at the end of the season and his future in coaching is in doubt, while O'Gara's future beyond the end of this season is unclear after he was heavily linked with a role with France. "We've first got to sort out the guys that we currently have," Van Graan told Virgin Media Sport. "We as a coaching group are working very well together and obviously I came in mid-season last season and we got through last season, did all of our planning, and I'm really enjoying it. Everyone else is really enjoying it. We're always open to adding some additional personnel. We'll finish the year first and then make our decisions after. "Nothing's ever impossible. Paulie is doing some great work with Stade Français and he's finishing up. ROG has been absolutely fantastic at Crusaders and he's possibly the most sought-after coach in the world, if I'm not mistaken. "I've been in constant contact with them, but there's a lot of quality coaches all over the world and we'll do what's the best for Munster. "Look, they're fantastic people and fantastic coaches. We're all on different journeys in our coaching paths, so I wouldn't say yes or no to that. We'll see what the future holds." Munster will almost certainly be without Joey Carbery for their Champions Cup semi-final clash with Saracens in Coventry on Saturday with Tyler Bleyendaal expected to start. Carbery will not be risked due to his hamstring issue, while Keith Earls and Jean Kleyn will have to prove their fitness ahead of the game. Independent.ie Newsdesk Munster Rugby chief executive Garrett Fitzgerald will today be honoured at the Irish Sports Industry Awards for his outstanding contribution to sport over the course of his career.